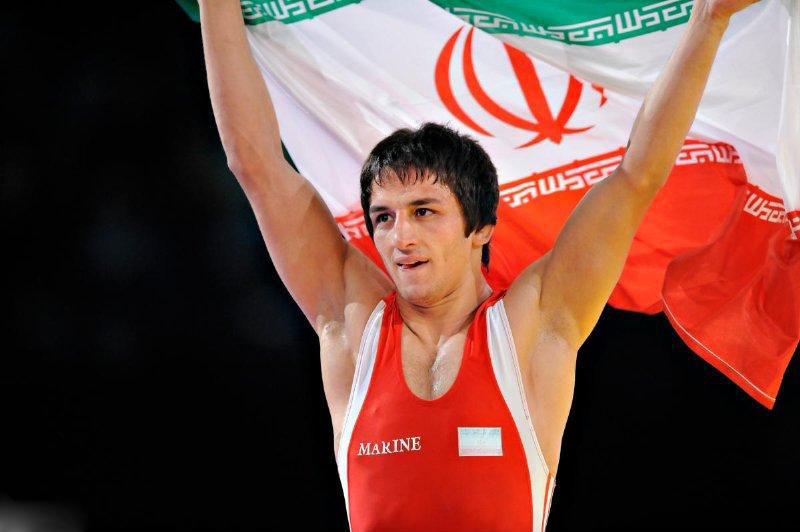 Hamid Sourian (26) claimed the gold medal of men’s 55kg Greco-Roman by defeating Rovshan Bayramov (25) from Azerbaijan. Sourian also made the history of his country because this was the first gold medal in Greco-Roman in Olympic Games for Iran. Before facing with Azeri wrestler, Sourian beat Peter Modos from Hungary and Haakan Erik Nyblom from Denmark and Arsen Eraliev from Kyrgyzstan. Hamid Sourian Reihanpour took up wrestling in 1998 encouraged by his father under the tutelage of Haj Abdullah Zareh. He is a five-time world champion in Greco-Roman wrestling. Sourian amazingly won both the Junior World Championships and Senior World Championships in 2005. He is also 2007 and 2008 Asian gold medalist. In 2008 Beijing Olympics, he was upset in the quarterfinals by eventual gold medalist Nazyr Mankiev of Russia. Sourian was defeated in the bronze medal match by South Korea’s Park Eun-Chul. Wrestling games held in ExCeL, the largest competition venue at the London 2012 Games.